Campbell: "Newcastle have got themselves a great manager." | NUFC Blog. Sol Campbell has rallied behind Chris Hughton today to add further weight to the squad backing that our manager has already recieved. Campbell is the latest in line of a number of Newcastle players who have backed Hughton throughout the recent media storm, that was generated by the press I hasten to add, that suggested that Hughton could be on his way out of St James’. Speculation will continue over the future of Chris Hughton, but most Newcastle fans are happy with the way that Chris is dealing with life in the Premier League. Could we really be doing any better? Well, yes, but in general we aren’t doing too bad. We sit in seventh place after 13 games, and we have 18 points on the board. “Newcastle have got themselves a great manager,” Campbell told the Sunday Sun. “He is doing a pretty good job in the Premier League and with money he’s had to play with, he’s doing fantastically well really. Newcastle didn’t spend an awful lot over the summer, although the captures of Cheick Tiote and Hatem Ben Arfa can be described as a success, despite the fact that we, unfortunately, haven’t seen that much of Ben Arfa. Both of those deals repesented a lot of hard work put in by Hughton and the club in order to get them to Newcastle. We all know just how long it took to get Ben Arfa to Newcastle, and most of us aware that Tiote is a player that Hughton has been watching for a number of years. Hughton has been called a work-a-holic before, and now he has been called it again as Campbell continued prasing the boss. It’s pretty clear that Hughton cares for the club, well to me it is anyway. He has worked with whatever he has been given and I genuinely feel that there is nobody who could do the job better at the moment given the limitations that our squad has, and the lack of any real investment in the team. NUFCBlog Author: toonsy	toonsy has written 643 articles on this blog. Carroll out the England squad with an injury..we’ve got nee strikers! How much is Campbell making? Gutted for him like, he deserves a shot for England because as others have said, he’s potentially the best in the league at what he does just now. Also causes big problems for us though. If he’s done his groin and Shola is out we could be in trouble. we have so many other strikers in stand-by mode,if carroll is indeed injured. for 2-3weeks.. Groin. MR BEST,MR XISCO,MR RANGER,Mr Lovekrands. Step up Lone Ranger….and the flying Dane. Batten down the hatches and play to our strengths…it’s easy..
Real pity for AC….surely this must be a real injury, and not an Alex Ferguson type of injury..? I’m more bothered about him missing the Bolton and Chelsea games to be honest, we’re knackered without the big lad. 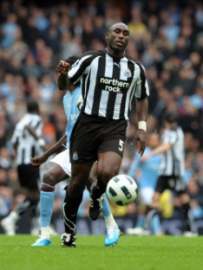 If Shola’s still out at the weekend what do we do? Ranger and Lovenkrands? I have a lot of time for both players but can’t see us picking up any points with that pair against a well organized Bolton. Not even going to think about Chelsea. AOD-You should be worried mate. How many goals has Best got for us? Is he not also injured? Loven hasn’t found form yet, Ranger has 1 this season..Xisco, well, he’s Xisco. Barton out.. Teams like Bolton are playing well and scoring for fun, we all know what Chelsea are capable of, it’s worrying. @Ross: I always have this faith in our players,u can call as blind Faith. Best has been doing real well in pre-season,just terribly got injured. He IS BACK IN TRAINING NW. Xisco,Well….I don’t know exactly what happens there internally,But he is still an option for us,right? Ranger: Getting bits and pieces of time on-field,which till now never disappoint me yet. You can say he is not prolific,but he is still improving. Peter: Simple,Give Him More time on field. He is getting slowly back,he didn’t do bad at all in yesterday match. dissappointing result for us, after one of the best weeks in football for us in years it gets followed by a half week of this, its a real real shame, and I have no idea what caused it. I didn’t see the whole game, which maybe is a blessing, but I don’t think that gives me the right to fully criticise which players etc. I called for lovenkrands before the match, and in my mind he’s just sealed the deal in proving that he’s not prem quality. Not english prem quality anyway. If we’re playing 4-5-1 then its got to be routledge on the right, I don’t think anyone else from Barton can actually play tgere. Then it has to be vuckic or xisco playing behind carroll, maybe nolan dropping back slightly more central but marking the keeper and getting himself into good poaching positions when he can. With Vuckic playing well, he’s got a bit more time to show what he’s got, and Xisco well, he must have some talent right? He seems pretty pacey, and plus its the only way we can show him off and possibly sell him on. 4-4-2 With ranger I guess..but the boy hasn’t convinced me so far. Crickey just read that Carroll thing..is it confirmed? Might just be me but I’m not sure I liked the rest of that Sol Campbell interview. To agree we are a goldfish bowl when he hasn’t played a first team game for us and to basically make out that Portsmouth fans are better than us because they don’t demand as much as us is a joke. Just my opinion like I said but his interview did not win many brownie points with me.